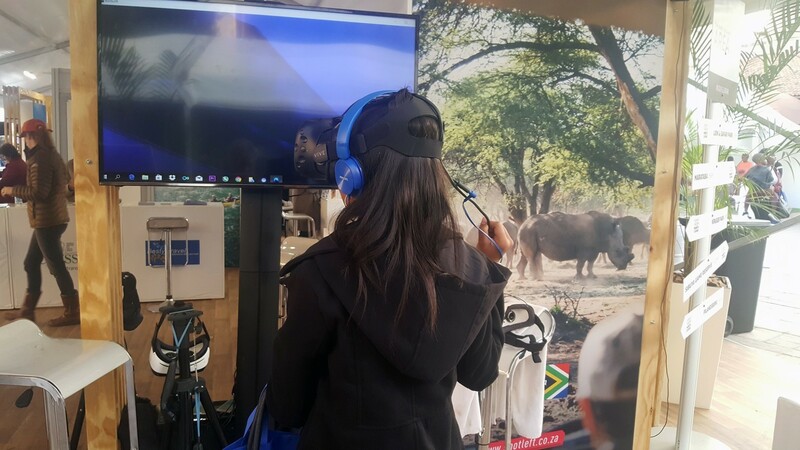 WE DO AWESOME VIRTUAL REALITY EXPERIENCES! 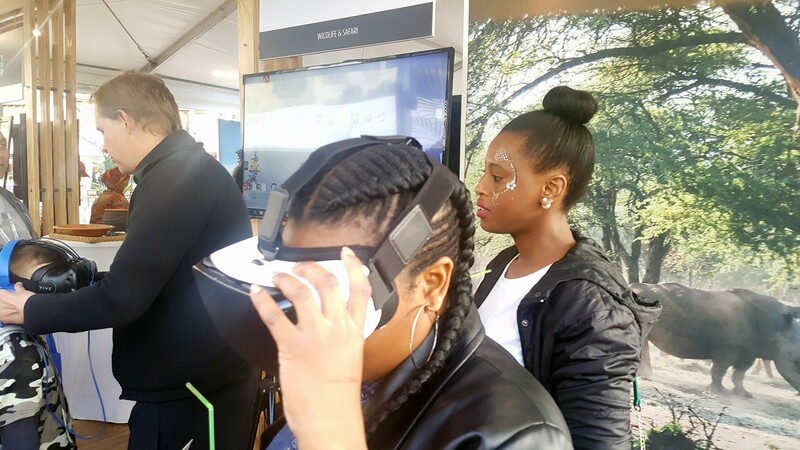 We have been commissioned by FCB Johannesburg to create a virtual reality experience for them at Holiday expo which were held at Monte Casino on Saturday, 26 August 2017 to Sunday, 27 August 2017. 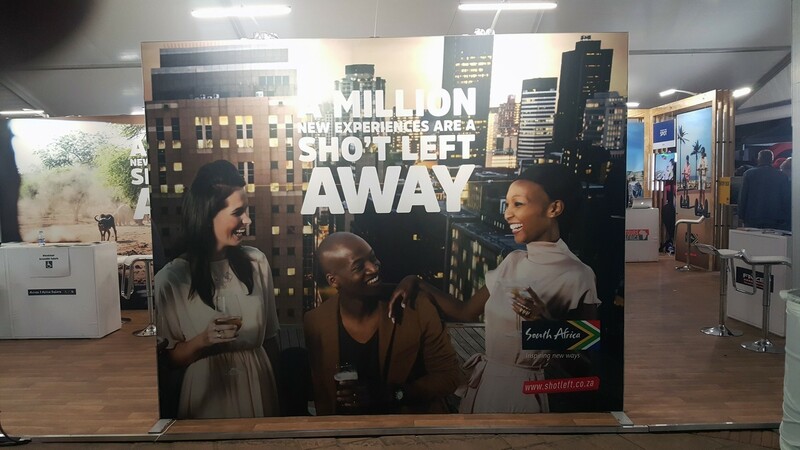 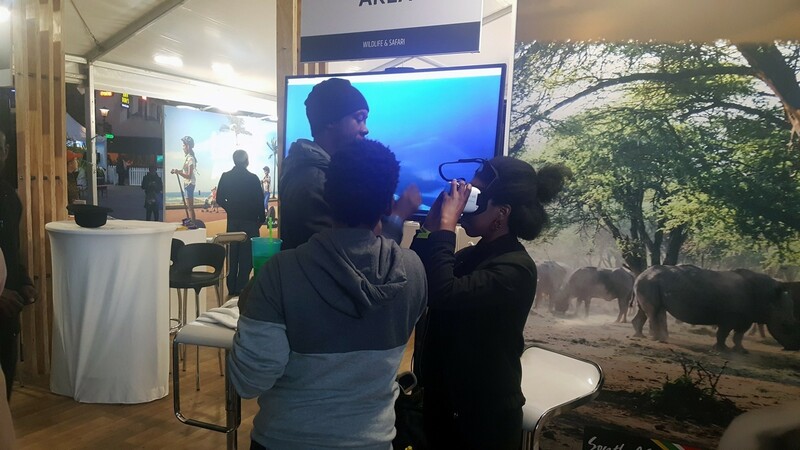 We were responsible for the hiring of the Virtual Reality equipment and to create an experience which people would love and draw them to the South African Tourism Stand. 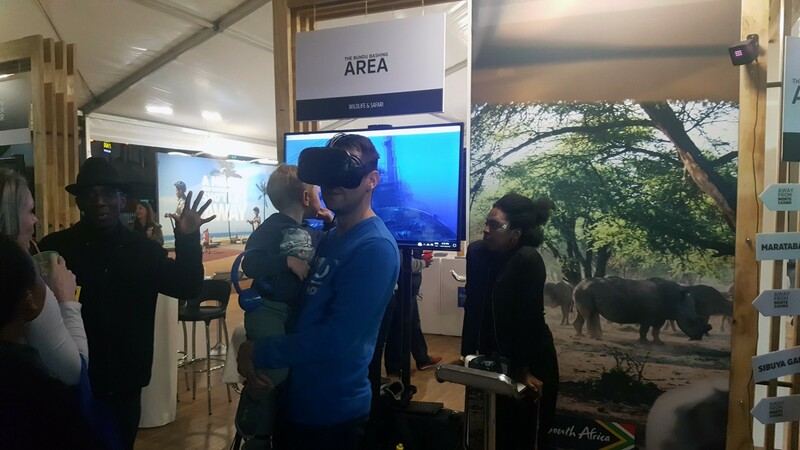 We used both the Samsung Gear Virtual Reality Headsets as well as the high-end HTC Virtual Reality headsets to create a magical experience for visitors to the Holiday Expo South African Tourism Stand. 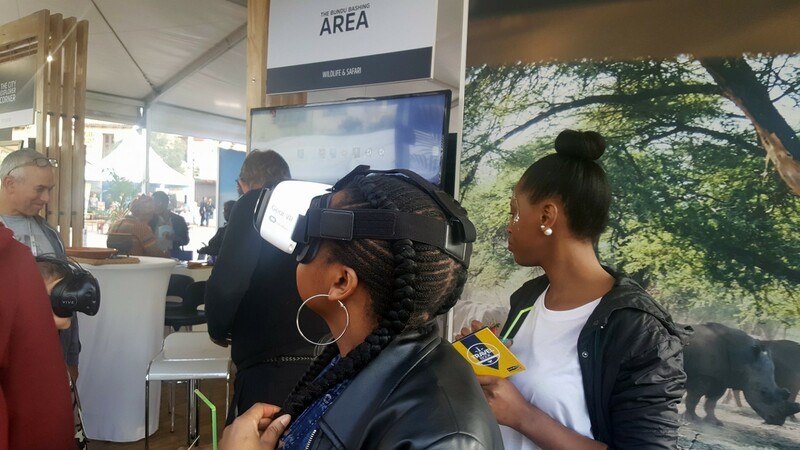 Also check out our Virtual Reality Rentals Page for more information on Virtual Reality Events and Activation. 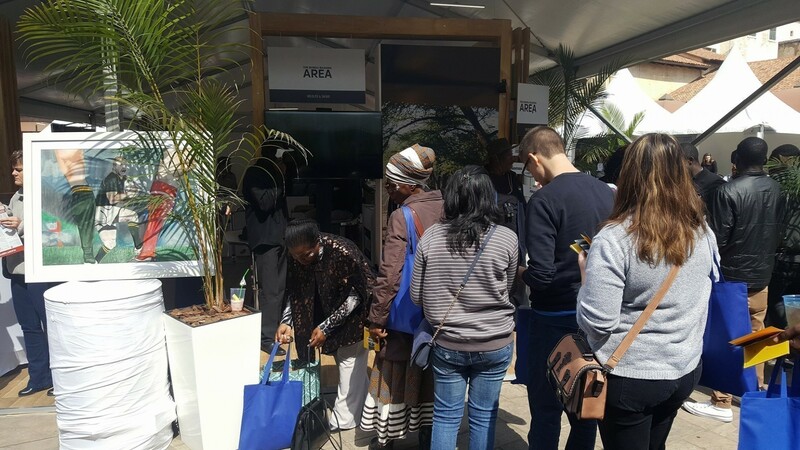 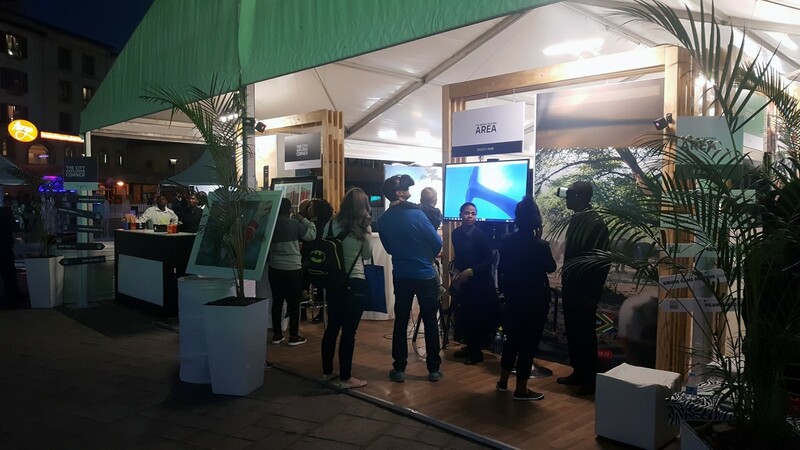 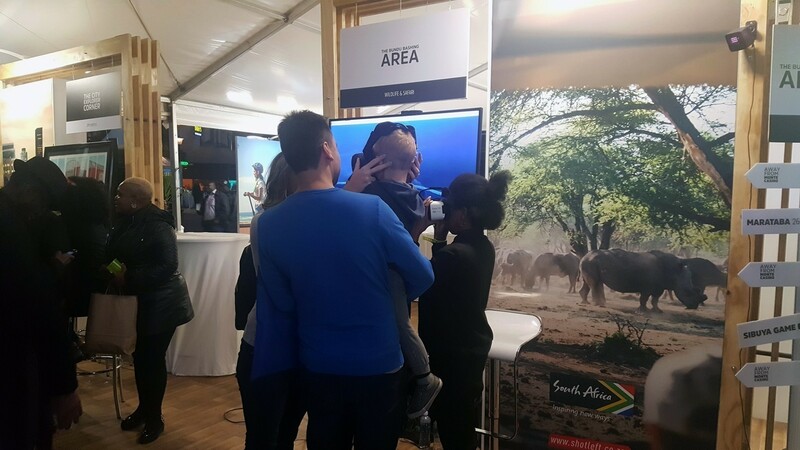 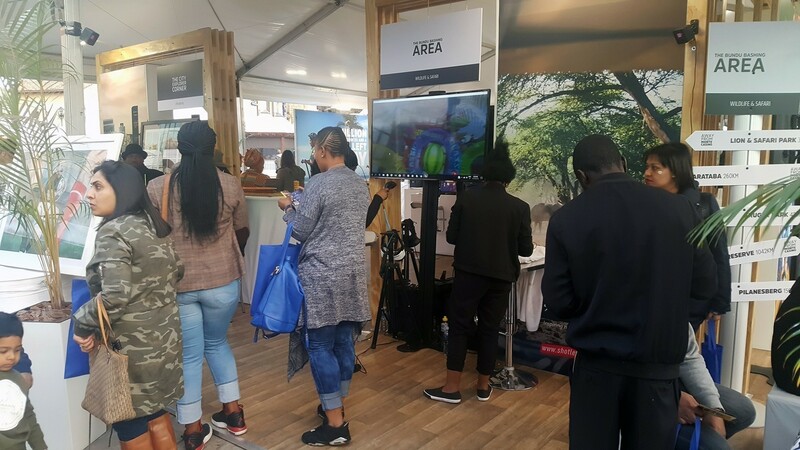 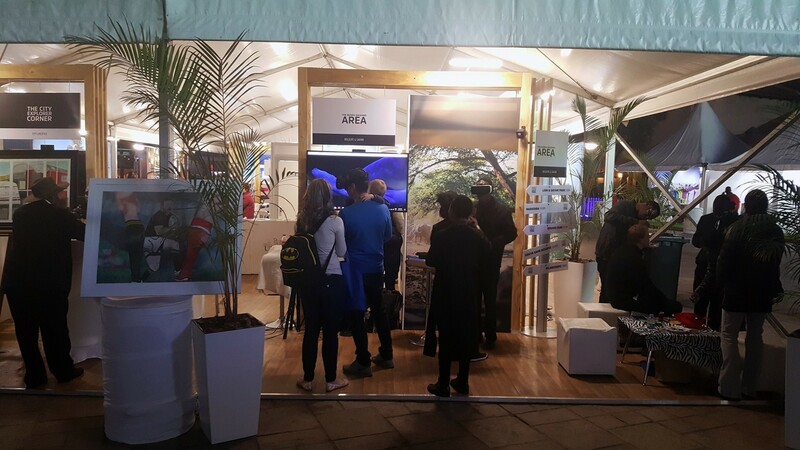 The Virtual Reality Exhibition and Activation was a huge success, and a big draw card and incentive for people to visit the South African Tourism Stand. 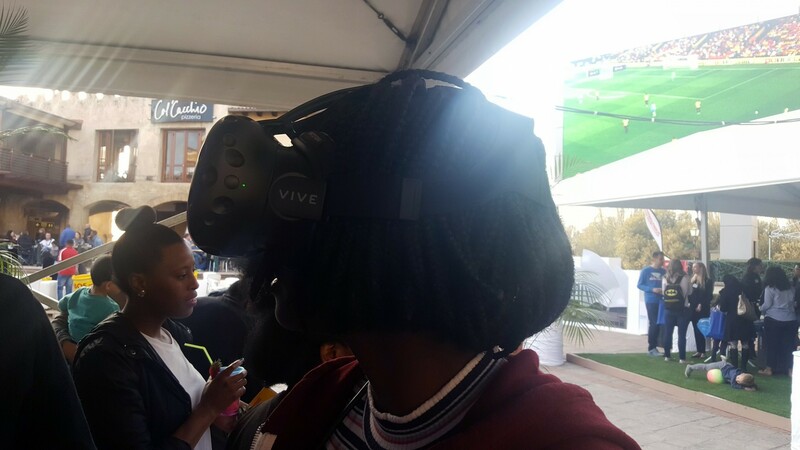 Virtual Reality is still out of reach of most people, and by offering clients the opportunity to do a high-end virtual reality experience for free is a people magnet. 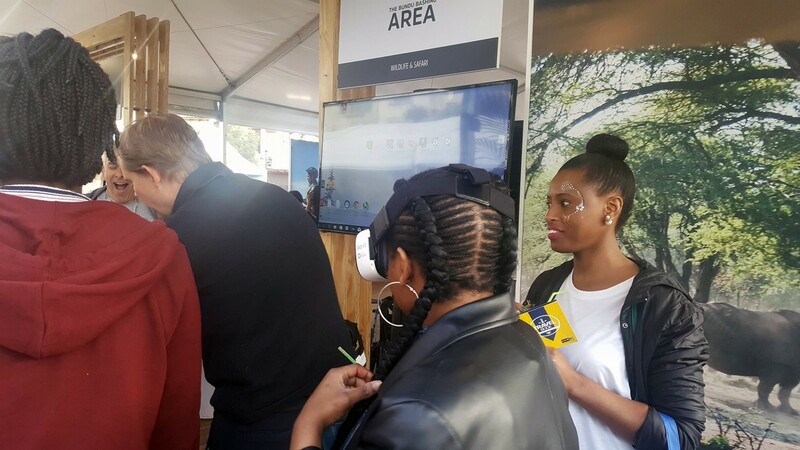 Using VR to draw people into a stand, gives activation people the time to talk to people, whom may otherwise have passed your stand. 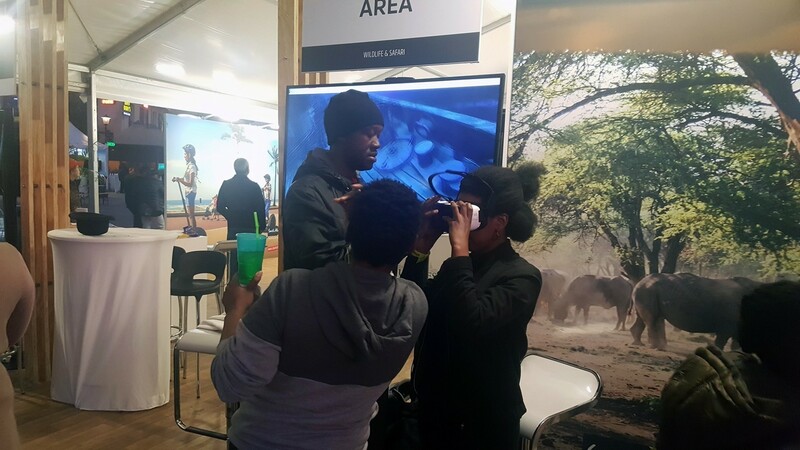 Below is some images of people enjoying the virtual reality activation. 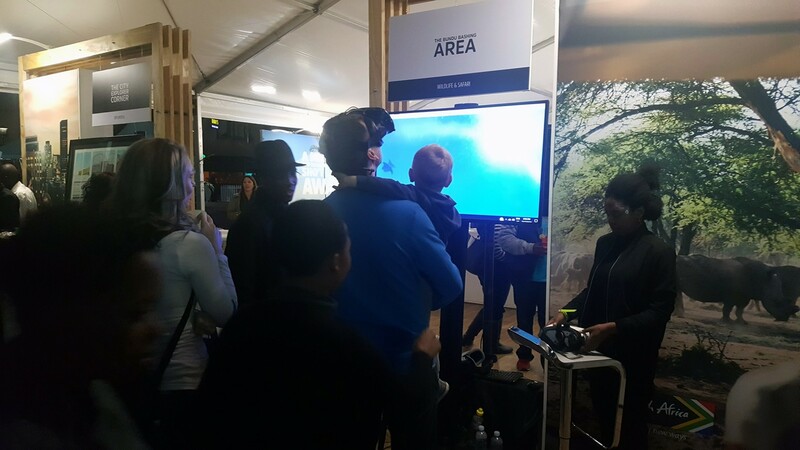 We were responsible for the hiring of equipment as well as the activation personnel assisting with placing people into the VR Experience. 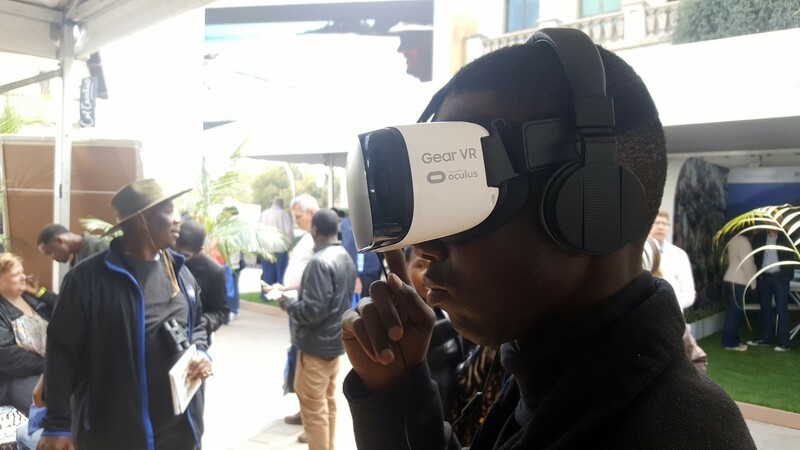 Planning a Virtual Reality Event, talk to us! 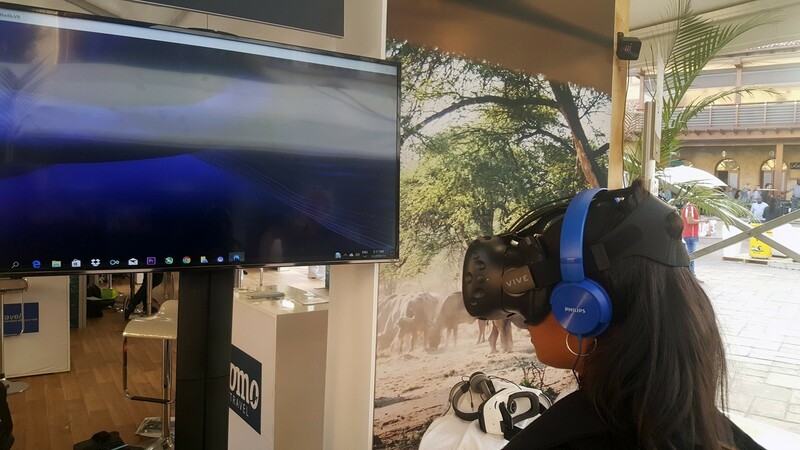 Virtual Tours are a awesome way of getting people to find out more about your company, or give marketers the chance to talk to people standing in queues to get a high-end virtual reality experience. 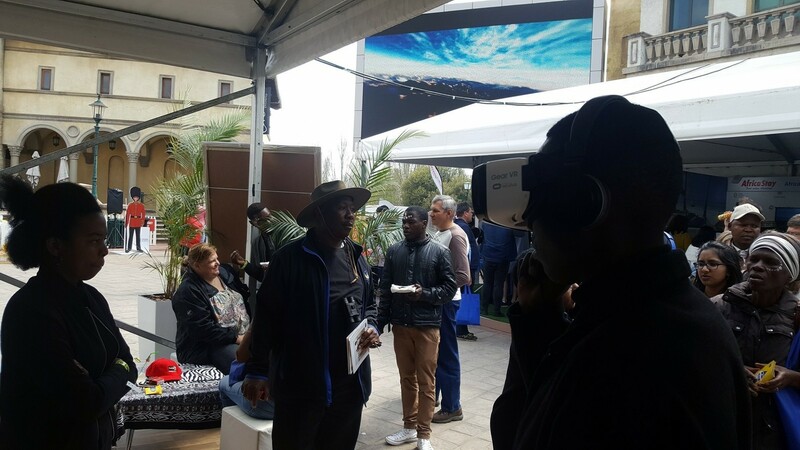 Also check out our page on Virtual Reality Events in South Africa to see how effective virtual reality is to draw people to your business. 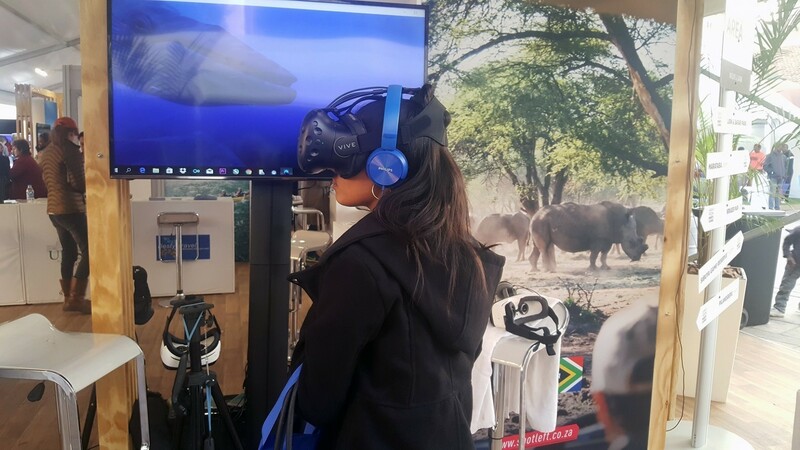 Let us help you step into virtual reality and show you how virtual reality can be a awesome asset for your business!